Iceland’s Minister of Industry, Ms. Ragnheiður Elín Árnadóttir, recently received a letter from Mr. Matthew Hancock, UK’s Minister of State at the Department of Energy and Climate Change (DECC). 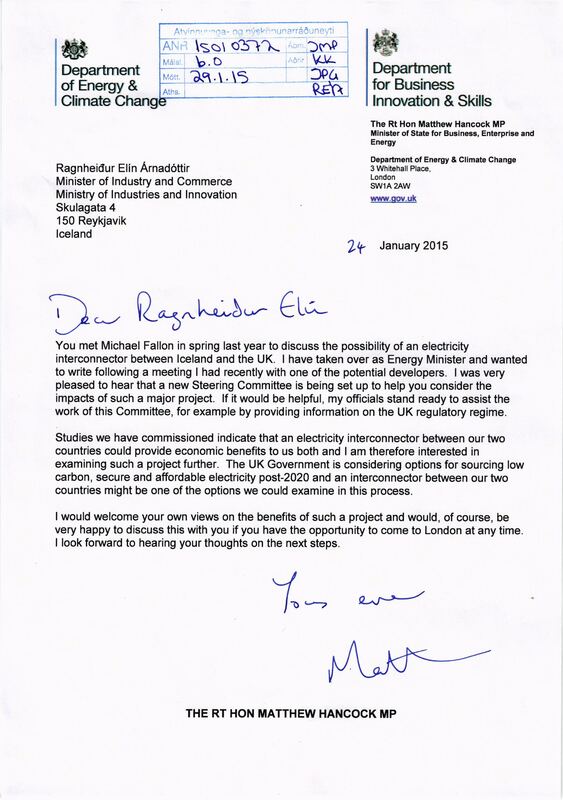 You met Michael Fallon in spring last year  to discuss the possibility of an electricity interconnector between Iceland and the UK. I have taken over as Energy Minister and wanted to write following a meeting I had recently with one of the potential developers. I was very pleased to hear that a new Steering Committee is being set up to help you consider the impacts of such a major project. 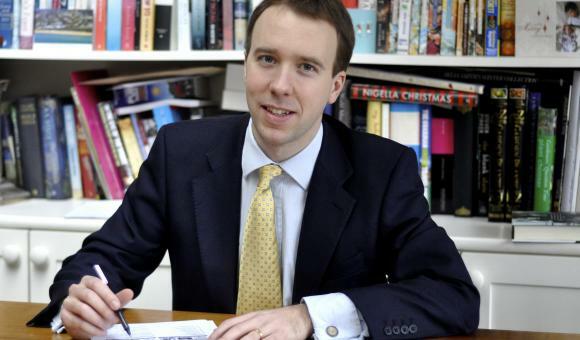 If it would be helpful, my officials stand ready to assist the work of this Committee, for example by providing information on the UK regulatory regime. Studies we have commissioned indicate that an electricity interconnector between our two countries could provide economic benefits to us both and I am therefore interested in examining such a project further. The UK Government is considering options for sourcing low carbon, secure and affordable electricity post-2020 and an interconnector between our two countries might be one of the options we could examine in this process. I would welcome your own views on the benefits of such a project and would of course, be very happy to discuss this with you if you have the opportunity to come to London at any time. I look forward to hearing your thoughts on the next steps. Then the letter ends with Mr. Hancock’s signature [“Matt”]. It will be interesting to see how this possible project will develop in the next months.